Ask any gardener what they want most from their garden, and you're likely to hear, more produce, abundant blooms and perfectly shaped trees, shrubs and hedges. One of the best ways to help ensure that gardening nirvana is pruning. Experts know that well-pruned plants and trees will yield more fruit, bigger and better blooms and healthier plants. And with spring just around the corner, it's time to get the work done. You can do it quickly and efficiently with these 4 essential pruning tools; bypass pruners for fresh green stems, anvil pruners for removing and cutting out dead wood, bypass loppers for the bigger limbs and a folding hand saw to remove the bigger stuff. Done right, your trees and plants will reward you with a successful bounty, season after season. Not sure where to start? Keep reading for some great ideas and resources that can help. Pruning is an essential part of maintaining good tree and plant health, so don't shy away from it. Note that not all shrubs should be pruned at this time of year. Done at the wrong time of year, pruning could limit growth and flowers in the summer months. The best place to start is by downloading, Corona's Principles of Pruning is a free guide that is packed with many of the basic how-to's for pruning confidently. Making the right cuts, at the right time with the right tool will help ensure a better crop of fruit, blooms and foliage. Joe Lamp'l of Growing a Greener World on PBS, shares some sage advice on Biggest Pruning Mistakes and How to Avoid Them in his Joe Gardener video series, presented by Corona Tools. For the hydrangea enthusiast, check out our two part podcast, Demystifying Hydrangeas with Proven Winners. 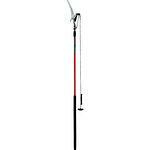 Prune live rose canes, trees, woody shrubs and vines with a bypass pruner. FlexDIAL® lets you adjust how wide the pruner opens, up to 3/4 in., to maximize cutting power and reduce hand fatigue when there is much work to be done. It provides gardeners with a custom fit for small to extra large hand sizes. Dead tree branches, rose canes and thick vines can seriously damage a good pair of bypass pruners. Look for an anvil-style pruner like the RatchetCUT™ that helps power through tough deadwood. It makes a series of smaller, full-leverage cuts which is easier on your hands. 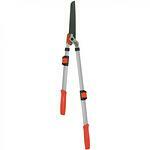 It will save your favorite pair of bypass pruners and added hand stress when making a large cut. 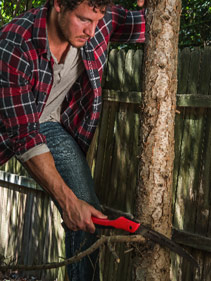 A bypass lopper can be the ideal choice when cutting larger limbs and branches. Remember, while a lopper like the DualLINK™ Forged Bypass Lopper may be rated for cutting up to 2 inches, the larger the limb, the more upper body strength you'll need to successfully make the cut. If it's difficult to make a cut, look to a Corona hand saw to zip through the cut. One of the easiest ways to tackle larger limbs and branches is a pruning saw. These are a must have for every gardener. Many are compact like the RazorTOOTH Saw® - 7 in Folding Saw that fit nicely in your tool pouch and can be tossed in a backpack when you're out on the trails. Some have an available replaceable blade option, making them a sound investment. While proper pruning helps ensure healthier plants and trees, it's also the ideal time to do spring clean up and maintenance in your yard. Take time to inspect your irrigation and drip systems for leaks which can result in wasted water, but also poorly irrigated plants and crops or brown spots in the lawn. Check out this podcast episode for 6 steps for saving up to 85% of landscape water use. One of the most important maintenance tasks you can do is spreading a thick layer of mulch that will help suppress weeds, while helping the soil retain moisture throughout the hot, dry months. Want more great suggestions for effective spring cleaning projects that will get the most from your garden? Check out Greenpal's Spring Clean Up Guide. The post-Thanksgiving rush is on to get ready for the holidays and the gardening season is quickly becoming a memory. There is still plenty to do during this season including decorating your home with festive decor. Instead of shopping at the same store as your neighbor for the latest yard ornaments, why not create a festive custom look, that costs you next to nothing? Your holiday decor just might be hiding in your backyard. 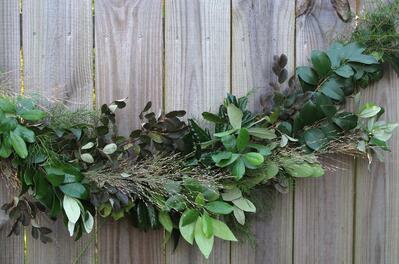 Here's how to make a gorgeous garland with your own greens. If you don't have greens in your yard, visit your local garden center and ask for leftover tree cuttings for no cost. We've also got some tips for helping out wildlife during the winter months. Tie one end of your piece of twine to a doorknob and hold the twine taut. Start wiring the bundles to the twine. (Leave enough twine at the end to hang the garland.) Hold the first bundle, cut ends up, and tightly wrap the wire around the twine and the bundle. For the first one it helps to poke the end of the wire through the twine once to hold the bundle in place. Do not cut the wire! Use the same piece of wire for the whole garland for extra strength. Continue wiring bundles to the twine until it is covered. Keep in mind that fall isn't the ideal time to fully prune anything, so you're going to want to take a few cuttings from a variety of different shrubs. 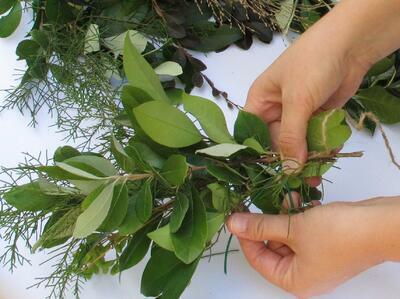 Here's the easiest way to hide your pruning cuts: Cut pieces for your garland from the underside of the branch. Works like a charm! If that isn't possible, try to remove a piece of branch that has another piece drooping over it, so the cut will be hidden. Still working on fall cleanup? Make sure not to completely mow down everything in your garden. While that's tempting, it doesn't leave much for visiting wildlife to snack on. Here are our tips for easing up on cleanup so you can enjoy visits from your feathered (and furry) friends. Allow ornamental grasses to stand until snow or ice knocks them down. Their flowers are a good food source for birds and small mammals. Let perennials dry and stand as well. 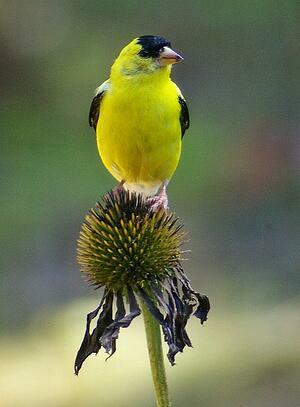 Goldfinches love coneflower seeds and you'll love seeing their bright plumage in your garden. The insides of these plants also provide winter habitat for native bees and insects. Leave some (but not all) leaves. It's not a good idea to allow dense mats of leaves to form on your lawn or in your flower beds. (Chop them up with your mower or leaf shredder and use them as mulch.) You can move a few piles of leaves to the edge of your property, though, to provide homes for overwintering native insects and butterflies. With so many regions and climates, there are many different activities to enjoy in the garden during the winter. Whether you're planting cool season crops, protecting your roses from the winter freeze or draining your irrigation system, we want to hear what tips work for you. Please share a comment, include your garden zone and tell us what works best for you during the winter garden season. Deciding how best to access your tiny home is an important, and often left-too-late part of the process. Particularly in the case of a tiny house on wheels, having enough space cleared to drive your home in and out on a trailer is a must. The clearing process will likely include pruning back trees and bushes that could obstruct the path of your tiny home. A great tool you’ll want in your arsenal is the RazorTOOTH Saw to help cut down any overgrown branches. Another key reason to prune trees around your tiny home is to encourage the health of the trees themselves. If you’re interested in keeping your tiny house more private, keeping those trees trimmed of dead branches is important. 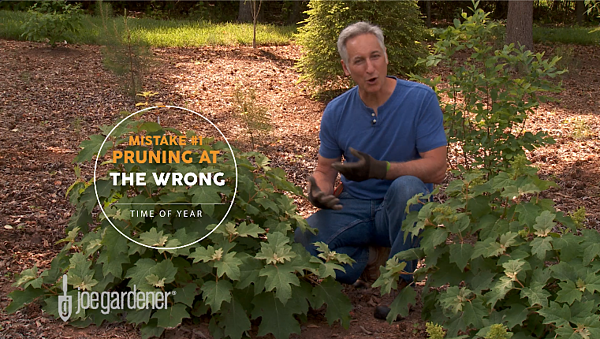 NEED PRUNING TIPS? Download Corona's FREE Principles of Pruning and Principles of Planting guides. Laying pipes is another crucial aspect of tiny living for any tiny homeowner who plans to have more permanent amenities. While you could pay someone to do the work for you, you sure can’t beat the sense of accomplishment that comes with putting in the work yourself. Here’s where owning the right shovel comes into play. The right shovel can mean the difference between a great job or a passable one. Since tiny living is all about quality over quantity, we chose the Trench Digging Shovel for all of our trench-digging needs. 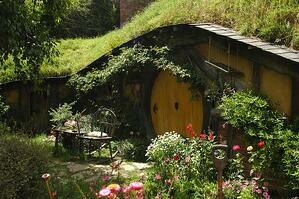 For many tiny homeowners, self-sufficient and sustainable ways of living are extremely important. Whether you’re interested in a flower garden or a crop of vegetables, owning the right tools can make it an enjoyable process. Before planting seeds, it’s important to prime the soil to ensure the success of the crop. Corona's lightweight Cultivator will help you get your earth prepped for all the veggies and flowers you could ever want. All you need now is a green thumb. As mentioned previously, tiny living is about more than just the house itself--it’s also about the land you put it on. After you find a home for your tiny home, using the best tools on the market to help maintain that home is the next step. Ensuring that the land for your tiny house is properly prepared is an important part of owning a home that suits your needs. With over 700 tools in the Corona catalog, it’s hard to pick just one favorite. So we asked the folks who like Corona Tools on Facebook and Twitter to help us out. We were impressed with the many choices made by our garden and landscape friends. So we’ve put together a list of the top tools on this year’s wish list based on their selections. If you or someone on your shopping list is in need of garden and landscape tools, these are the most sought after Corona tools for 2014! And starting 12/1-12/5 you can shop on the Corona website and save big for the holidays. Check out the tools that top this year’s fan favorites and get your special discount codes that will have you singing joy to the world! Still don’t know what to get for your favorite gardener or landscaper. How about some incredible tools that are inexpensive and make great stocking stuffers? 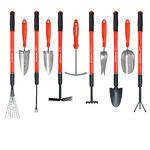 Barbara K. and Dana P., both love extendable handle garden tools ($12) for their versatility and convenience. 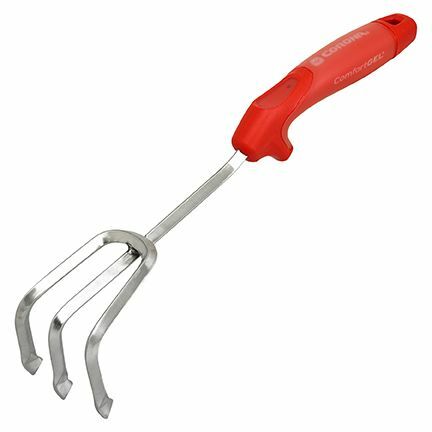 Lisa S., and Debra G., would love to see ComfortGEL hand tools ($10-12) like the transplanter or weeder with comfortable grips and stainless steel tool heads. Other fan favorites include; Stainless Steel Snips ($11) great for harvesting herbs and deadheading flowers, Corona Tool Sharpener ($10) to keep pruner and lopper blades at maximum sharpness, and these great scissors and snips that are ideal for indoor plants and small container gardens. That is this year’s short list of Corona Tools’ Fan Favorites! Do you have a favorite on your wish list? Tell us in the comments below. * 20% and free shipping is not valid on Corona wheelbarrows due to size and special shipping requirements. Orders containing a Corona wheelbarrow will be subject to full shipping charges to all US address. 2014 National Landscape Architecture Month (NLAM) is celebrated by the American Society of Landscape Architects (ASLA) with the theme of Career Discovery and a focus on underrepresented minorities. The U.S. population will be much more racially and ethnically diverse by 2060, according to projections by the U.S. Census Bureau. NLAM 2014 will spur a countrywide movement, teaching children, young adults, and even teachers just how artfully landscape architects design their world. From community parks to residential design, there’s a field out there for any ambitious student, regardless of their background. The live chat begins Wednesday, April 16, 2014 at 11 a.m. PDT / 2 p.m. EDT, where we come together with green industry experts and fellow landscaping peeps each week to discuss all things related to landscape, since 2011. Join @CoronaTools and #landscapechat guest hosts, @landarchitects PR + Communications Coordinator, Phillip Stamper-Halpin, and @Land8 Director, Andrew Spiering for this week's topic: 2014 National Landscape Architecture Month. Your Path - ASLA staff redesigned the Career Discovery website. On this beautifully designed, interactive webpage, future landscape architects can take a tour of the profession and watch as OLIN’s Columbus Circle project in New York City goes from design, to construction, to the beautiful public space it is today. Social Media - ASLA has started an extensive social media campaign relating to NLAM, called “30 Days of NLAM” – each day features a new challenge for ASLA’s Facebook and Twitter followers to perform. Join the conversation and see what today’s challenge is by checking out our pages or #NLAM. 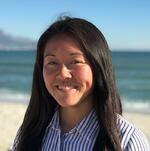 Career Discovery Packets - To reinforce the theme of Career Discovery with an emphasis on underrepresented minorities, ASLA has redesigned their middle/high school Career Discovery packets. Focusing on sharp content with a visual design, these new handouts give a succinct overview of the profession while urging students to explore ASLA’s other resources. 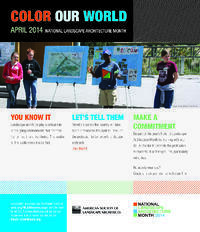 NLAM Pledge - Landscape architecture students and professionals alike are taking the NLAM pledge to hand-deliver these new Career Discovery packets into local middle and high schools and informing them about the profession before they get into college. NBM Programs - Celebrate NLAM at the National Building Museum in DC through two featured events. On April 6th, the World Premiere of Evan Mather’s film From Sea to Shining Sea took more than 100 of local residents on a cross-country tour of the American landscape. On April 23rd, NBM will host a lecture, Reed Hilderbrand and the Legacy of Dan Kiley as part of their Spotlight on Design series. Tools for Teachers - K-12 teachers seeking ways to bring landscape architecture into the classroom should check out ASLA’s new education hub, Tools for Teachers. It is loaded with fun, free classroom activities that will inspire lesson plans and start classroom dialogues about landscape architecture. It includes links to all of ASLA’s educational resources. Don't miss out on this exciting topic as we welcome ASLA and Labd8 to #Landscapechat! Just sign in to Twitter and search for #landscapechat. Just tweet with using the hashtag and you will be part of the conversation. If you do miss the chat, you can still access the complete replay on Nurph or on our Storify transcript; both are available 24/7 following the Live Chat, which will include all the information and links shared during the discussion. If you're considering a carreer in landscape architecture or never considered it but want to learn some great reasons why you should, this is the place to be to learn more and chat live on with the industry leaders on #Landscapechat! It's the middle of winter and much of the country is experiencing sub-zero temperatures, snow and ice storms. Unless you're in Southern California or Florida, these are aren't the ideal conditions for landscapers to be out working unless it's to shovel snow. During the winter months is a great time to ramp up your business strategies before it's time to get outside and the folks at PLANET have what you need to take your landscaping business to the next level. Join @CoronaTools and #landscapechat co-partner, Lisa Schaumann, director of public relations @PLANET2005 as we talk about upcoming events and resources that can help kick off the new year with some fresh insights for your business and benefit from all the great resources that PLANET has to offer. The live #landscapechat begins 1/22/14 at 11AM PST via Twitter, where we come together with green industry experts and fellow landscape tweeps each week to discuss all things related to landscape, since 2011! Upcoming PLANET Events: Discover what national and regional events are coming up this winter that can help shape your 2014 strategies. Online PLANET Resources: Learn what resources are available on the PLANET website for members and non-menbers. Provide Your Feedback: During the live session you will have the opportunity to share what matters to you and what resources you'd like to see from PLANET. Don’t miss out on this exciting topic as we help motivate and inspire your business strategies! It's easy to join the conversation via Twitter just by signing in to the #landscapechat Nurph! You can follow the conversation and share with the community and Nurph will automatically add the hashtag to your tweets. If you do miss the live event, you can still access the Storify recap, accessible 24/7 that will be posted following the live chat. The transcript includes all the information and links shared during the discussion. Nurph will also have a replay of the complete chat available 24/7! Come share with us and energize your 2014 business strategy and spend your Polar Vortex down time learning createive ways to build your business live on #landscapechat! What do call it when you cross people who are passionate about organic principles and sustainability, with a 333-acre farm in Kutztown, PA? 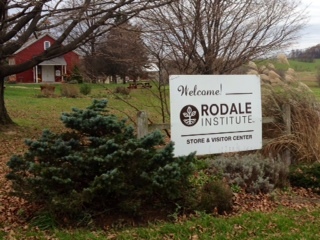 Why the Rodale Institute, of course! For more than 60 years the Rodale Institute has been researching the best practices of organic agriculture. Not only do they share their findings with farmers and scientists from around the world, they will share some of what they do, on this week’s #landscapechat community. Join @CoronaTools and #landscapechat co-partner, Aaron Kinsman, media relations specialist @RodaleInstitute as we introduce them to chat and how their research projects are working to provide organic and sustainable landscapes everywhere. The live chat begins 1/15/14 at 11AM PST via Twitter, where we come together with green industry experts and fellow landscape tweeps each week to discuss all things related to landscape, since 2011! Rodale Institute Overview: Understand the principles that the institute was founded on and why the organization was formed. Sharing Research Findings: Hear about some of the ways they share their extensive research finding with the world based on tried and true, organic and sustainable policies. Research Projects: Learn what projects are in the works and how they can be applied to the green industry. Excellence in Leadership: Rodale shares it’s insight on the team that helps make the institute an authority on organic and sustainable best-practices. Don’t miss out on this exciting topic as we welcome the Rodale Institute to the #landscapechat community! It's easy to join the conversation via Twitter by searching for the #landscapechat hashtag. If you do miss the chat, you can still access the Storify recap, accessible 24/7 that will be posted following the live chat. The transcript includes all the information and links shared during the discussion. Come share with us on this great introduction and we look forward to chatting with you live on #landscapechat! The new year is starting off shiny and bright on landscapechat's updated format and topics for 2014. Landscape lighting is an important element in any landscape, not just for aesthetics but for safety, security and enjoying your landscape during the day and night. Whether you are homeowner or landscape lighting professional, this week’s chat offers something for everyone. Join @CoronaTools and #landscapechat co-partner, Brian Horn, managing editor at GIE Media, Inc. 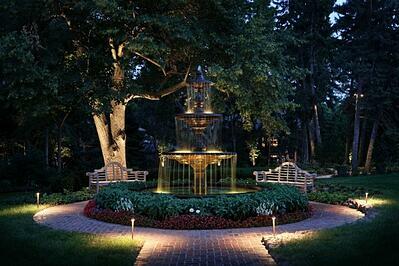 Lawn & Landscape Magazine @LawnLandscape, as we shed some light on this illuminating topic. Also joining the conversation is Andrew Coleman, outdoor lighting designer of Omaha-based, McKay Landscape Lighting @McKayLighting. The live chat begins 1/8/14 at 11AM PST via Twitter, where we come together with green industry experts and fellow landscape tweeps each week to discuss all things related to landscape, since 2011! Importance of Lighting in Landscape: With more people enjoying their outdoor surrounding for relaxing and entertaining, we’ll cover the why’s and how’s for using landscape lighting. Latest Trends in Outdoor Lighting: Discover new trends in landscape lighting technologies and the industry outlook. Adding Lighting to Your Landscape: Understanding the ins and outs for adding landscape lighting to new and existing landscape designs. Even on small budgets! Landscape Lighting Professionals: Learn about what it takes to be a lighting professional and what you should know when hiring them. Don’t miss out on this enlightening topic from these green industry experts! It's easy to join the conversation via Twitter and search for the #landscapechat hashtag. If you do miss the chat, you can still access the Storify recap, accessible 24/7 that will be posted following the live chat. The transcript includes all the information and links shared during the discussion. Come share with us on this great event and we look forward to chatting with you live on #landscapechat! Some might argue that for everything bad, something good happens. 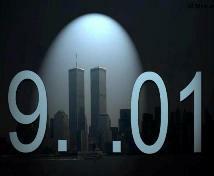 It's not an easy task when you think about those early morning events of 9/11/01. So many Americans died that day, while countless others were affected in some way from the horrific images that unfolded in the media. While many of Americans had eventually went on with their lives, there were brave men and women that went overseas to face the terror and protect those of us here at home. In the process many soldiers lost their lives and for those fortunate to come home, many were severely wounded. That's were this post begins for us at Corona. 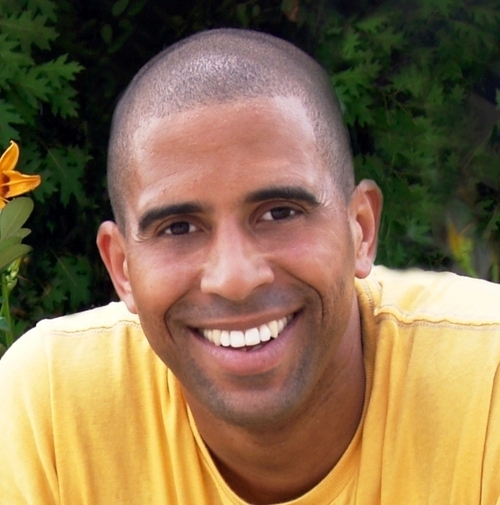 Recently I got a call from Ahmed Hassan, celebrity landscaper from the DIY Network and HGTV Magazine. He told me about a few projects that he was working on in our "backyard" and needed some landscaping tools. He explained that he partnered with Volvo Rents, building houses for soldiers who were severely injured during their service in the military. While I never served in the military, I have the utmost respect for those brave men and women who sacrifice their lives so that I can live the American dream. Of course, I wanted to do what I could to support their efforts. Ahmed and Volvo Rents partnered together in support of the founding organization, Homes For Our Troops on 3 projects here in Southern California, 1 in Temecula and 2 in El Cajon. On each of the sites, they will construct a home from the ground up complete with finished landscape. The homes are built with the soldier in mind throughout the process and the only thing they need to do is take the keys, move in and enjoy their new home. Upon learning more about the organization and what their supporter do for our injured servicemen, I couldn't help wanting to spread the word. I wanted to let others know how they are giving back to those who have sacraficed so much for others. Since Ahmed and landscaping was going to be involved I thought it would make a really great topic on our weekly #landscapechat. I called our partner Colleen at ValleyCrest, to see what was available on chat calendar. She thought it was a great idea and said we had only open Wednesday slot available...September 11th. Through the grace of Twitter, Volvo Rents, Ahmed Hassan, Homes For Our Troops and our chat partner ValleyCrest, we've pulled together what I believe to be one of those "something good" moments on a day that is typically seen as a sad, solemn and horrific day in recent American history. What makes it even more special, is that we get to share these great works with everyone who wants to attend the chat. We'll be hosting a special 90 minute chat, beginning at 10:30AM PST on 9/11. You can log on to the #landscapechat Twubs and watch the conversation unfold live. We'll give some background on those participating, the projects we are working on, the people involved, and ways for you to volunteer at a future Homes For Our Troops projects. And yes, you can even give a shoutout directly to Ahmed, just by logging in with your Twitter account and joining the conversation using the #landscapechat hastag. We invite you to come ask questions to the panel, get details of the projects, and be part of the #landscapechat community on 9/11. I'm not sure if this proves the theory about "from everything bad, comes with something good". But one thing I do know, being able to give back in some way to soldiers who have sacrificed so much...well, suffice it to say, that's about as good as it gets. How about you? Share your thoughts with us in the comments below and don't forget to mark you calendar and join us for the live chat! Phytophthora - Coming to Trees Near You? Healthy, mature trees provide many benefits to residential and public spaces, season after season. They provide summer shade, fall color to your landscape and improve your property’s value. Now imagine your landscape with a beautiful tree, that seemingly overnight, turns into the one you see pictured here. 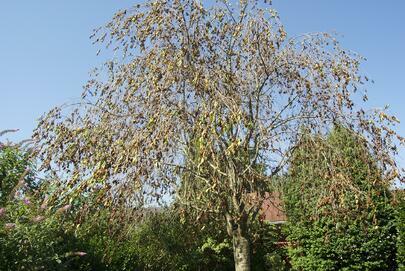 Phytophthora can wreck havoc on a tree and without detection and treatment can lead to your beloved tree’s demise. This week on #treechat, Jason Miller aka @DendriticCare, will join us and share a bit about this serious soil-borne disease. As a Registered Consulting Arborist and ISA board-certified master arborist, Jason takes a look at the disease and its affect on trees. From detection to treatment, he’ll help shed some light on this growing problem affecting healthy trees. The live chat begins 8/13/13 at 11AM PST via Twitter, where we come together each week with industry experts and fellow tree tweeps to discuss all things related to trees and tree care, since 2010! Bring your questions and chat with the tree expert to help protect your trees health! Joining treechat is easy for anyone on Twitter to join! Just follow the conversation over and tweet from our new Twubs #treechat. Come share with us on this great topic and we look forward to sharing with you on the live chat! If you miss the live chat, you can still access the transcript on Corona Tools' Storify. It will be posted following the chat and includes all the information, links and resources shared during the discussion so you don't miss a thing! Already have questions about the topic? Share with us in the comments below then join us for the live chat!